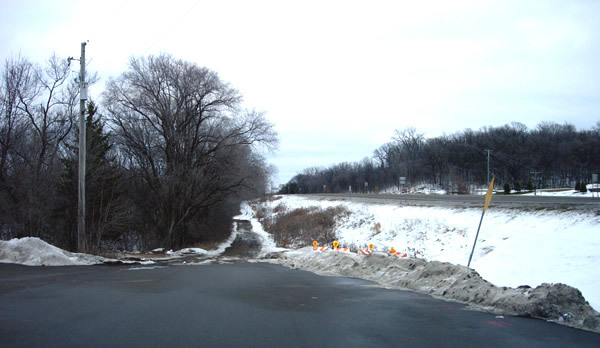 When Highway 13 was modernized in 1948 (between Nicollet Avenue and the north city limits of Eagan), much of the original roadway ended up being left behind just to the side of the new straighter grade. Road crews removed most of the old roadway per construction plans and aerial photos. The scars of the old road were erased by further suburbanization and construction in the decades to come. Aside from the long segment left behind near Cedar Avenue, four other sections were saved as small service drives. One was just east of Nicollet Avenue in Burnsville, another was at Blackhawk Road in Eagan, one was part of the Valley Lounge parking lot at Yankee Doodle Road, and a final one became part of a driveway for a farm just to the north of the lounge. The former two of these four service drives have since been destroyed by further construction. At some point after 1948, the farm's driveway was extended south over part of the old grade to connect to the Valley Lounge's parking lot, and the farm entrance connecting directly to the highway was removed. 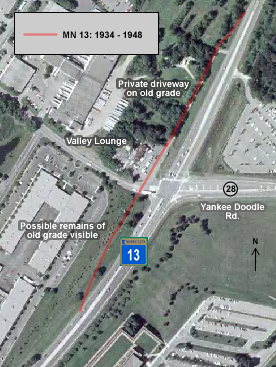 The direct connection from the driveway to the highway was recently restored, and the old connection to the Valley Lounge Parking lot closed off by a gate to prevent customers from using the private road for overflow parking. The Valley Lounge has been open on Highway 13 since 1937. Check out their site for a little bit more history. 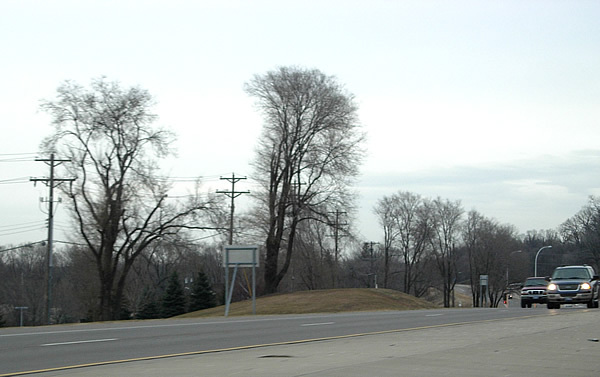 Looking north on Highway 13, just south of Yankee Doodle Road. I'm not 100% sure, but I think the ramp-like structure on the left is actually part of the old highway grade, bypassed in 1948 (or it could be a mound of dirt from the 2001 project to upgrade Highway 13 to four lanes between Yankee Doodle Road and Silver Bell). 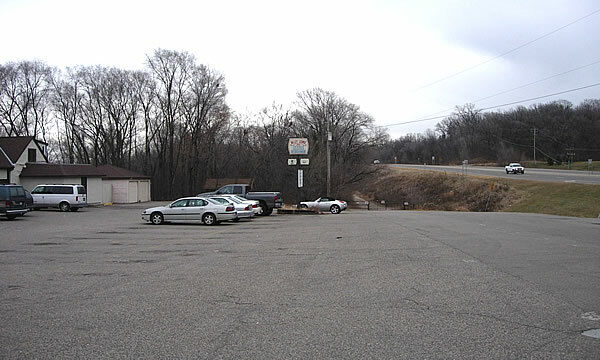 Looking north through the parking lot of the Valley Lounge at the northwest corner of Yankee Doodle Road and Highway 13 (modern Highway 13 is on the right). The original highway (pre 1948) ran through the the east part of the parking lot (on the right), down to the private driveway. The gate blocking access to the driveway is visible. An earlier view, from December, 2005 before the gate was erected. The private drive is considerably narrower than the old highway, and was most likely graded after the old highway was removed in 1948 (note how the grade of the modern highway abuts it).